Once you are engaged to your prince charming, many brides consume their time preparing for one of the biggest days of their lives - their wedding day. However, when brides-to-be consume most of their time preparing for their special day, it is easy to lose yourself in the moment. Due to the stress you may put yourself under, it is easy to forget about everything else in your life; putting your family and friends as a low priority. However, planning a wedding should only be an aspect of your life, which should not take precedence over everything else. Yes, we all want this day to be perfect, but it is also important that the experience leading up to it is enjoyable; and is thus not a distraction from everything else. 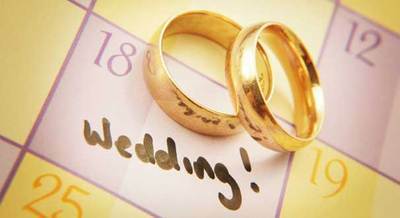 The biggest mistake you can make while planning a wedding is putting a stop to your social life. Go out with the girls for a nice dinner or spend time with your fiancé; watching movies and talking about things other than the wedding. Taking time away from planning will also mean you will use time you dedicate to your planning more effectively. Brides-to-be may waste a lot of their time procrastinating and become more stressed if all their time is focussed on just this aspect of your life. Sometimes we don't even realise we are doing this; hence it is important to stay conscious of it at all times. Keep a diary so you can visually see how much time you have given to planning. You may be surprised as to how consumed you are! In your diary dedicate time for your family, friends, your fiancé and for other activities such as taking a yoga class, getting a massage, doing meditation, or doing a workout. This doesn't mean putting your plans on the back burner; it's all about the balance. Always remember that you have family and friends around you to help; so don't be afraid to ask. Enjoy your planning and find the happy medium in your life to ensure you don't lose yourself.